To order your Repeat Prescriptions Online please click on the link at the top of this page. Please note that due to the new GDPR regulations, if you are collecting medication on behalf of someone else we will need their permission to do so. Cowfold and Partridge Green Surgeries are dispensing practices. The majority of our patients can collect their medication at the surgery. If you live within a mile of a Chemist the law states you must be a non dispensing patient and you will have to take your prescription to the Chemist or the surgery will send your prescription to a designated Pharrmacy.Repeat Prescriptions are issued on a 28 day basis. This enables us to monitor correct medication usage and also helps to prevent wastage. If your doctor agrees to you having repeat prescriptions they can now be requested on-line using the link above, in person or by a note, or the side slip of your precsription. We also have a post box in the entrance to both surgeries where repeat prescriptions may be left. We need to get your doctor to authorise and sign the prescription. Your medication is then ordered, dispensed and checked by our team of dispensers. from the day you order your medication to the day you collect it. Please note that requests for Repeat Prescriptions cannot be taken over the phone. Prescriptions that are to be collected from the Cowfold Medical Group without the medication being dispensed will be ready for collection after THREE FULL WORKING DAYS from the time of the request. For patients who collect their medication direct from Lloyds pharmacy, please allow five working days from requesting your medication. If you are a non dispensing patient, once the prescription has been signed it can be collected or sent to a local nominated Pharmacy, or posted to the patient with an SAE. Please note that we cannot take requests for Repeat Prescriptions over the phone. Please leave any messages for the dispensers on this machine, it is checked regularly throughout the day, & the dispensers will deal with any queries. Please remember that we do not take prescription requests over the 'phone. 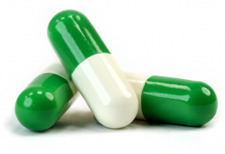 If you are in need of Urgent Medication please contact the Practice.